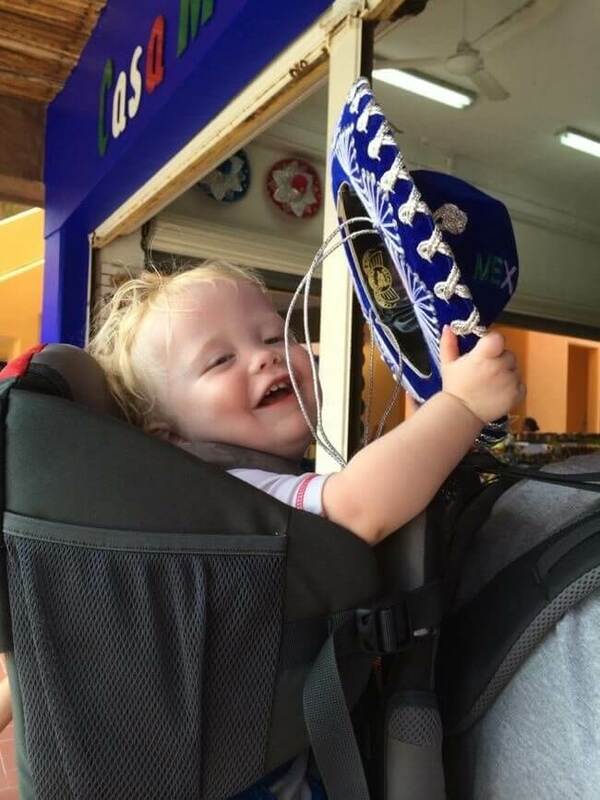 I’m finally getting back to the repost of our very first Disney Cruise Line cruise trip report, from a 7-night Western Caribbean on the Disney Fantasy in October 2013 (originally posted on our family blog at that time). 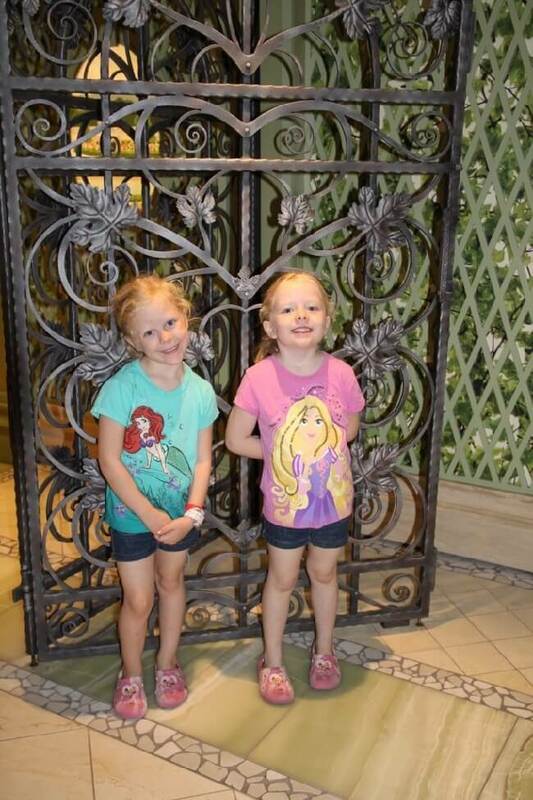 It’s so much fun for us to look back on these sweet family memories, but I know it’s not your family… so I’ve also included some tidbits and tips for future cruisers. The following day was a very low-key one. 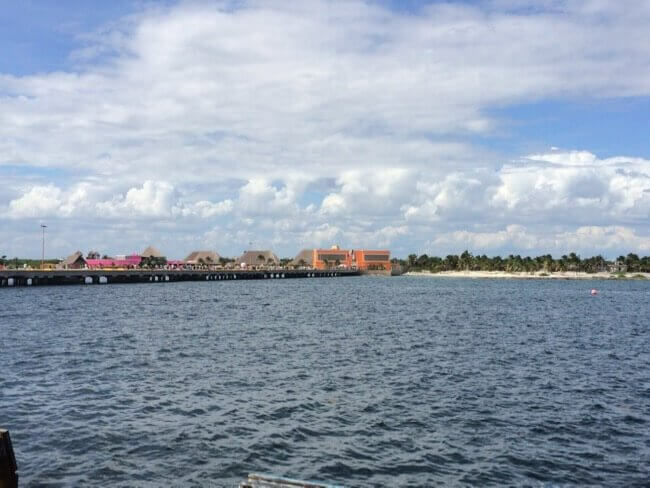 The shore time in Costa Maya is very short, and we had no excursions booked – so it was nearly another day at sea. The Port of Costa Maya is unique in that it was literally built as a destination for cruise guests! If you’re not feeling up for Cabana’s for breakfast, there are often options in the main dining rooms. Check your navigator! After breakfast we did our first round of the incredibly fun Midship Detective Agency game. 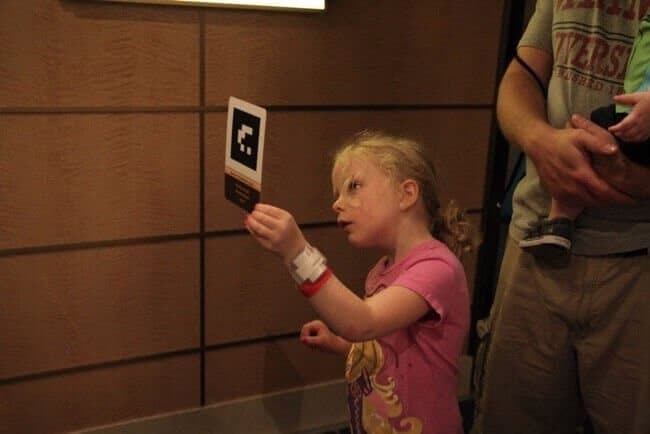 To play this game, you acquire a badge and a mystery case file on Deck 5 near the Port Adventures desk, or on Deck 2 outside the Enchanted Garden (on the Disney Dream and Disney Fantasy). You then go throughout the whole ship finding clues in magic pieces of art to solve a crime. It’s now one of our favorite things to do on the ship! Midship Detective Agency gameplay is very similar to Magic Kingdom’s “Sorcerers of the Magic Kingdom”. Check that out here! The Midship Detective Agency Game is similar to Magic Kingdom’s “Sorcerers of the Magic Kingdom”. It’s one of our favorite onboard activities! After we saved some Dalmatian puppies from certain doom, Nolan went back for a nap while the girls and I headed for the princess gathering. 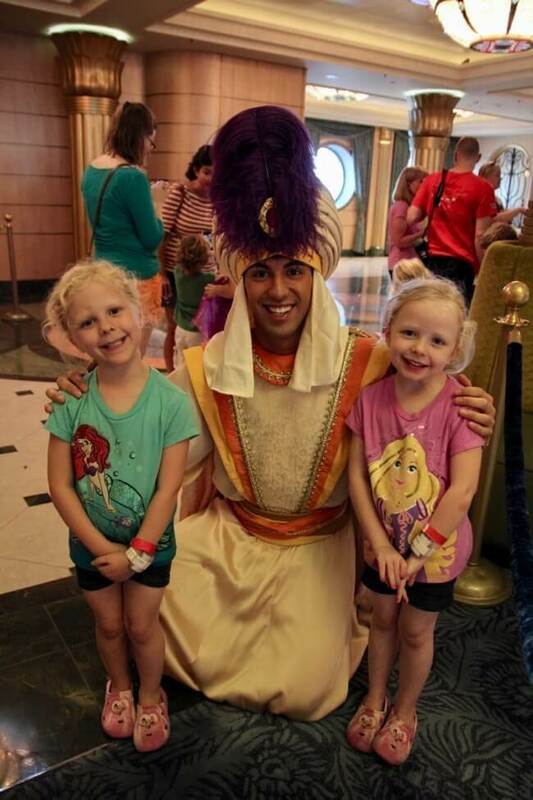 Prince Ali ran into us in line, and blew Avery’s and Elise’s minds by remembering that he had seen them at Disneyland! The gathering meet and greet was very sweet; we also hung around the ship with a few more characters, when it was somehow already time for lunch! We grabbed a quick bite to eat in Cabana’s, then dropped the girls off at the Oceaneer Club. 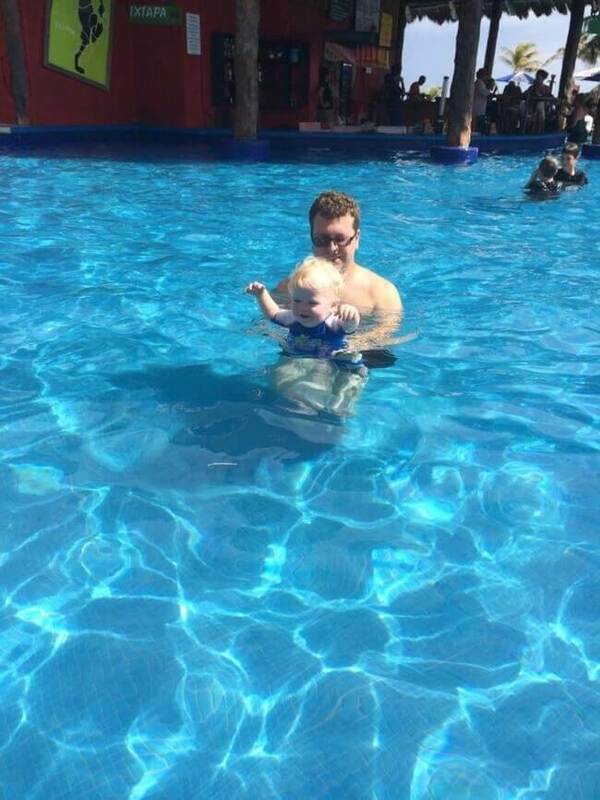 Kyle, Nolan, and I left the ship for a brief visit to Costa Maya. We shopped for about an hour, swam in the public square saltwater pool for about 30 minutes, and apparently put my camera somewhere that it sat in a puddle of water despite zero evidence. It turns out this would be the last day of it’s grand life, but thankfully none of the pictures from the first few days died with it. The rest of the trip you may notice some seriously lower quality pictures though… I’m just warning you! Veteran Tip: You can leave the kids onboard in the kids’ clubs while you leave the ship! The cast members will have your phone number and you’ll take your wave phone off with you, in case of an emergency. We’ve never done this for super lengthy adults-only excursions or anything, but my kids have definitely all stayed back at one point or another when Kyle and I left for a quick visit to a port. This is most useful, in my opinion, in ports you’ve already seen as a family – or some that perhaps don’t offer much for you and your young travelers. Some cranky kids needed an early night, so our afternoon was carefully planned. We picked up the girls and tucked Nolan in for a quick nap. The evening’s stage show, Disney Wishes, is available on demand on the stateroom televisions. We piled in bed at rest time with halloween movie candy and watched the show, freeing up our evening to end a bit earlier than usual. Dinner was great, with a fun “Prince and Princess” menu. Afterward, we went to a family dance party in the Tube, where the girls danced with us and with some of their favorite cast member friends. We were sad that we only caught the end of it, but the timing was good overall. We were all in bed before 8; by the time the evening show started on Decks 3 and 4, the kids were sleeping and Kyle and I were in bed watching a documentary on Uncle Walt. It was the perfect evening for this nerdy Disney family, after a nice, relaxing day! The port at Costa Maya has a large public swimming pool that is a great place to cool off! Costa Maya is approximately 100 miles south of Playa del Carmen. Though Spanish is the official language of all of Mexico (including Costa Maya), English is spoken readily throughout the port. Most merchants will also accept US dollars in addition to Mexican pesos. Most places you’ll visit on a cruise are established islands, villages, etc; some may have built special port areas for the cruise ships, that are more “touristy” than the land beyond the port walls. Costa Maya, however, was built specifically for cruise tourism. Because everything was built with tourists in mind, it’s generally considered safe to drink the water anywhere within Costa Maya. There are tours and excursions available to the areas of Costa Maya outside the port (including some to ancient Mayan ruins), but it’s not uncommon for a cruise stop in Costa Maya to be relatively short. Be sure to check how long you’ll be ashore before you make too many plans! Taxis are readily available if you’d like to leave the port area; they are not metered, so be sure to establish a price up front! If you just want to hang out in the cruise port area, there are plenty of shopping and dining options – but you probably won’t find anything particularly unique to the area or different than other cruise stops. Perhaps the biggest draw for us was the large, public, saltwater pool available right in the port. With swim up bars and restaurants and plenty of seating around it, it was a nice place to hang out for a quick visit and a little people watching. 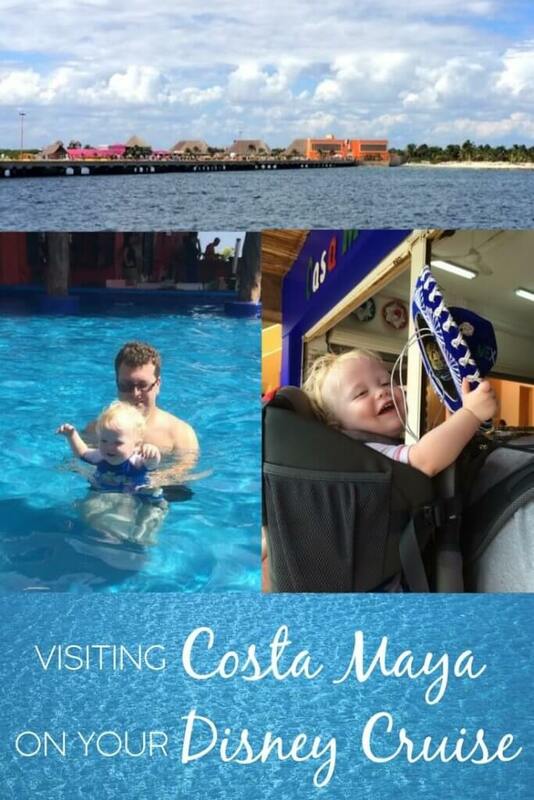 I think it’s probably not fair to say much more about Costa Maya as a whole, because we didn’t experience much of it for ourselves outside the port. Still, we thoroughly enjoyed our time there. Happy sailing!